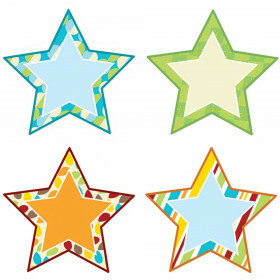 Add a cheerful splash of color to your classroom with the School Pop Happy Talk assorted Colorful Cut-Outs(R). 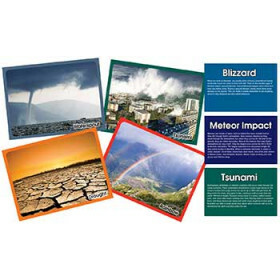 This multipurpose set features 36 cut-outs in various designs to create a cohesive classroom theme. 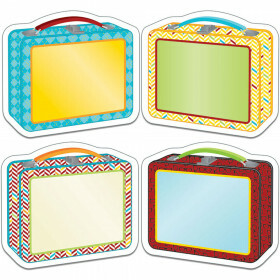 A time-saving solution for adding fun and function to your learning environment, assorted colorful cut-outs can be used for accenting bulletin boards, message displays, and more! 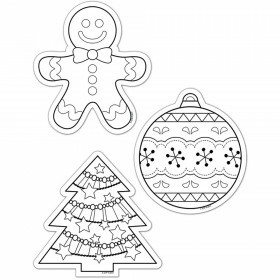 Designed to be versatile, these cut-outs can also serve as classroom labels, game pieces, name tags, cubby tags, door decorations, and reward cards. 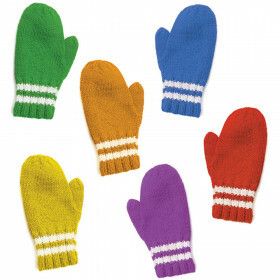 Be sure to add the coordinating products to create a stylish classroom theme! Looking for something similar? 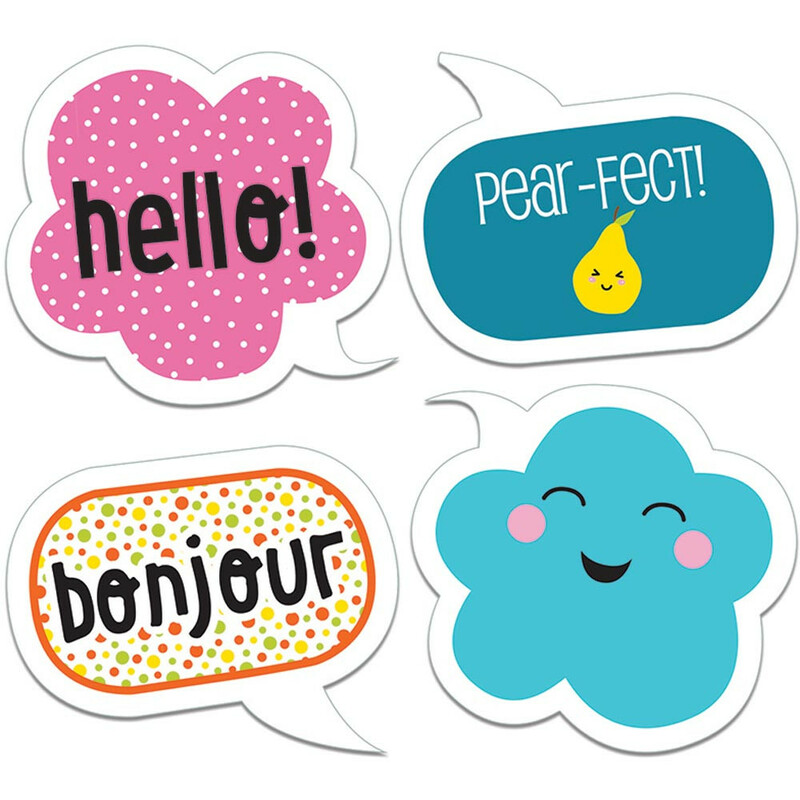 View our Accents or Classroom Decorations sections to find more classroom supplies items similar to School Pop Happy Talk Cut-Outs.